I am often asked at maths education events whether south-east Asian mastery is at odds with statutory curriculum requirements. Head teachers and maths co-ordinators in many schools yet to make the change to mastery state: ‘Our major issue is that we need to teach the National Curriculum, but it is too rigid to allow mastery.’ Maintained schools can shy away from some mastery programmes in the false belief that they are better off building their own or using schemes that promise a good match to published programmes of study, sadly at the expense of adopting detailed, well-tested and effective mathematics curricula and textbooks. I can understand why schools may feel risk-averse: they are held to sharp account for performance against National Curriculum expectations and, crucially, statutory assessment of the curriculum provides the starting point for Ofsted’s discussions with schools. This, combined with a pressure to demonstrate pupil progress against expected curriculum standards, generates an understandable fear of what might happen if a school fails to toe the curriculum line. One snag is that, while the 2014 National Curriculum was benchmarked against the curricula used in the world’s highest-performing education systems, including Singapore, it doesn’t directly match any leading country. Meanwhile, Singapore reinforced its status as a leading mathematics performer in 2015 international assessments, adding to a fascination with ‘Singapore Maths’ across the globe and in the UK, and particularly with the stretching curriculum and resources that underpinned the schooling of the country’s 15-year-olds, who were well ahead of the pack internationally in 2015. Exactly how rigid are our curriculum requirements? And do they genuinely prevent schools from adopting approaches that might more closely reflect Singapore’s curriculum, or those of other leading lights such as Shanghai, for example? First, let’s acknowledge that maths is maths. It is not a list of disconnected topics, but is a well-established, coherent and connected body of knowledge. The primary mathematics curriculum in England may have its idiosyncrasies, but there is considerable overlap with the curricula of high-performing jurisdictions; it’s just that the shared content might not fall in the same order. While maintained schools in England are legally required to follow the curriculum, set out in some detail year-by-year for mathematics, they are only required to teach relevant programmes of study by the end of each key stage. The National Curriculum framework document states that: ‘Within each key stage, schools therefore have the flexibility to introduce content earlier or later than set out in the programme of study.’ This means that schools can ‘mix it up’ within a key stage, choosing, for example, to defer fractions and geometry entirely to year 2, or bringing forward content on number to year 1. These freedoms are more extensive still at KS2, which offers flexibility within a four-year programme. Curriculum freedoms for maintained schools don’t stop there. The 2014 curriculum framework also states: ‘In addition, schools can introduce key stage content during an earlier key stage, if appropriate.’ ‘If appropriate’ is open to some interpretation of course, but the Department for Education (DfE) says in its mathematics programmes of study that ‘decisions about when to progress should always be based on the security of pupils’ understanding and their readiness to progress to the next stage’. Where pupils collectively make good progress and demonstrate a secure grasp of the mathematics, therefore, they can be taught more challenging content – as long as this doesn’t offend the principles that most pupils move through curriculum content at broadly the same pace, and those who grasp concepts rapidly should deepen their understanding first rather than accelerate ahead. But mapping a route through National Curriculum content is not the end-point in curriculum design. As the National Centre for Excellence in the Teaching of Mathematics (NCETM) highlighted in its 2014 paper on mastery, successful teaching in high performing jurisdictions is underpinned by ‘detailed and methodical curriculum design to foster deep conceptual and procedural knowledge’. All schools have freedom in this respect. But schools should be minded that getting this right is a fine art: not all mathematics is equal, and fundamental concepts need special treatment to enable pupils to gain a rounded rather than fragmented understanding of the subject to hold them in good stead in the future. Well-crafted textbooks design-in ways of making the mathematics secure, making it stick, and tackle mathematical misconceptions head-on. Ofsted’s school inspection handbook states that, when evaluating the effectiveness of a school’s work in mathematics, inspectors will consider how well the teaching fosters mathematical understanding of concepts and methods and ensures that pupils acquire mathematical knowledge appropriate to their age and starting points. To demonstrate this, head teachers and maths co-ordinators should not feel risk-averse about mastery. Quite the opposite: its proven approaches to mathematics teaching are a sure-fire way of getting it right. Vanessa Pittard was Assistant Director for Curriculum and Standards at the DfE in 2011–2017, where she held responsibility for mathematics education and worked on STEM and literacy policy. Vanessa was central to the development of the Maths Hub programme and worked closely with the NCETM on the introduction of mastery teaching of mathematics in schools. 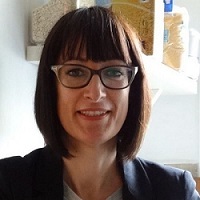 Prior to that, Vanessa led the evidence and research function at Becta, the UK agency for technology in education, and was a subject leader and head of department at Sheffield Hallam University. She now works as an independent consultant. The National Curriculum in England: Framework document, December 2014. National Curriculum in England: mathematics programmes of study. Developing Mastery in Mathematics. October 2014. School Inspection Handbook. September 2015.